We want to see YOUR winning fish here! Please send the photos of your winning fish and state records! We know there are more winners out there so please review the ROFFS™ Winners list on our website (http://www.roffs.com/fishing/recreational/winners/) and send additions and other corrections. We received many calls and emails of great fishing days independent of state records and tournaments. Thank you for those notes, photos, and videos. Please send more so we can post them on our website and share these with the world! 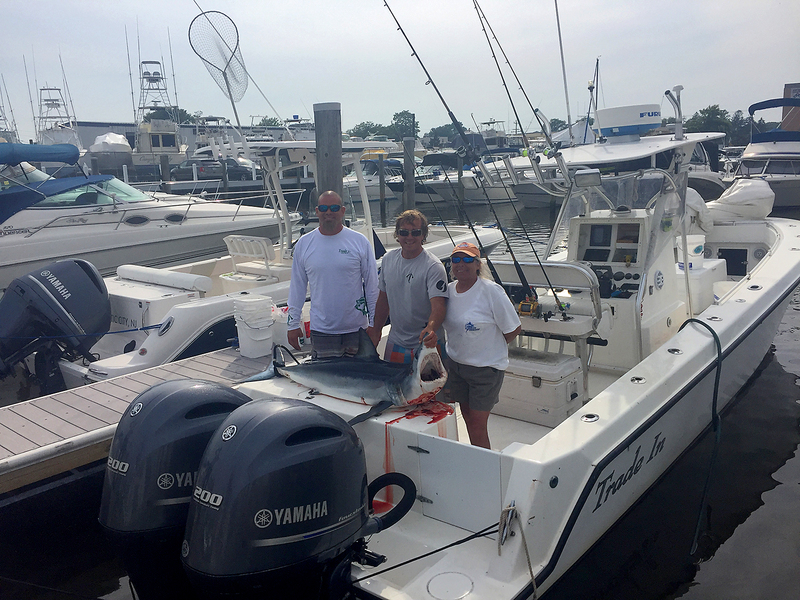 2017 IGFA Women’s 6# Test Line Class Mako Shark World Record (126.4 lbs.) was set by Maureen Klause, Mate Cullen Wright & Captain Ricky Wheeler (Trade In). 2016 IGFA Men’s All-Tackle Wahoo World Record (182.0 lbs.) was set by Derrick Wittkamper & Captain Damon Sacco (Castafari). 2007 IGFA Junior Female Swordfish World Record (155.0 lbs.) was set by Ashley Spalding & Captain Ralph Turner (Baitwasher). 2006 IGFA Red Grouper Junior World Record (12.86 lbs.) was set by our clients Jacob Roberson & Jim Roberson (Long Run). 2006 IGFA Dolphin Small Fry World Record (45.0 lbs.) was set by our clients Estee Combs & Brett Combs (Producer). 2008 United States blue marlin record (1228.5 lbs.) Trey Irvine (Mimi). 2016 United States wahoo record (182.0 lbs.) Derrick Wittkamper & Captain Damon Sacco (Castafari). 2011 Gulf of Mexico and Mississippi state bigeye tuna record (203.9 lbs.) Tommy Braden & Chip Temple (Jasper Time). 2011 Bahamas blue marlin overall record (1119 lbs.) Don McKinney & Captain Jason Parker (Double Dog). 2017 Florida state bluefin tuna record (826.5 lbs.) Rick Whitley & Captain Joey Birbeck (You Never Know). 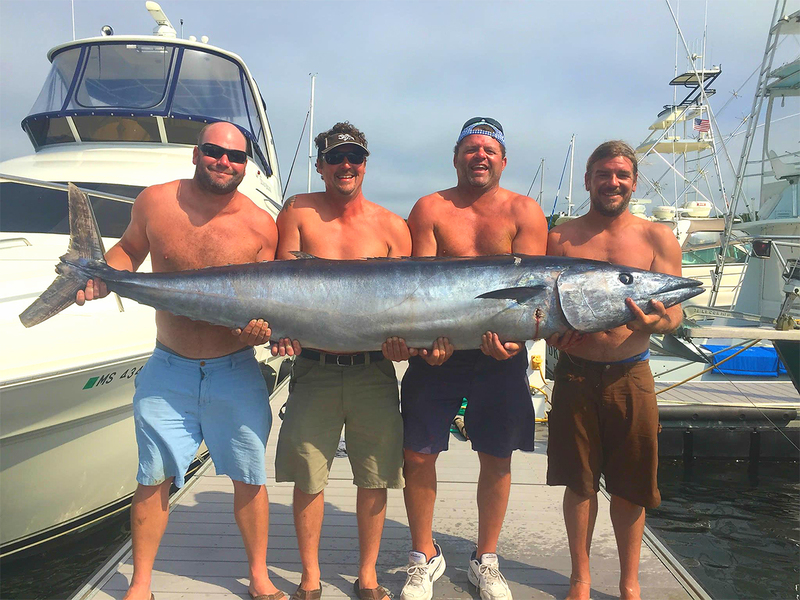 2016 Men’s All-Tackle World Record, U.S. and Massachusetts state wahoo record (182.0 lbs.) Derrick Wittkamper & Captain Damon Sacco (Castafari). 2014 Texas state blue marlin record (972.7 lbs.) George Gartner & Captain Kevin Deerman (Team Legacy). 2013 New York state wahoo record (117.7 lbs.) Jonathon Stabe, Dennis Stabe, John Whalen & Mark Fielding (Tonto). 2013 Alabama state blue marlin record (845.8 lbs.) Captain Mike Roberto, Chris Ferrara, Eric Chandler, Kate Ferrara, Connor Ferrara & Ivan Duke (Reel Fire). 2013 Alabama state blue marlin record (789.8 lbs.) Toby Berthelot, Jeremy Powers, Todd Berthelot & Richard Creed (Rising Sons). 2012 Connecticut state albacore tuna record (68.85 lbs.) Captain John Metaxas, John Dagon, Paul Borowiec & Eric Lovas (Kielbassea). 2012 Rhode Island state mako shark record (996.0 lbs.) Gavin Boucher (Bottom Line). 2012 Virginia state wahoo record (122.0 lbs.) Capt Keith Neal & Susan Nelson (Teaser). 2011 Massachusetts state porbeagle shark record (495.0 lbs.) Ryan Siegel (The Program). 2009 Maryland state blue marlin record (1062 lbs.) Skip Opalko & Robert Farris (No Problem). 2008 North Carolina state blue marlin record (1228.5 lbs.) Trey Irvine (Mimi). 2006 Texas state small fry state dolphin record (45.0 lbs.) Estee Combs & Brett Combs (Producer). 2005 New Jersey state tilefish record (55.0 lbs.) Gary Caputi (Ugly Mug). 2003 Alabama state swordfish (225.0 lbs.) record by Captain Ron Frick (Sea Paver). 2002 Massachusetts state wahoo record (84.0 lbs.) Damon Sacco (Castafari). 2000 Georgia state wahoo record (123.0 lbs.) James Clifton (Cold Duck). 1999 Maryland state record thresher shark (585.0 lbs.) Fred Ames (Yankee Babe).